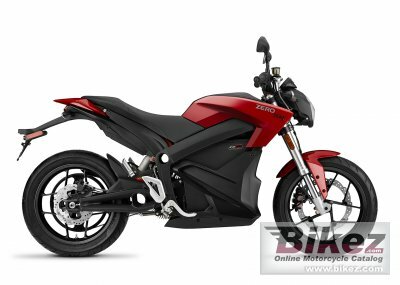 2015 Zero SR. Picture credits - Zero. Submit more pictures. To accommodate the increased power, the Zero SR motor uses higher temperature magnets to ensure better performance during extended durations at higher speeds. Capable of doing 0-60 mph in under 4 seconds with a top speed of over 100 mph using direct drive, the Zero SR offers spirited riders an edge in competitive riding. Emission details: No direct emisssion. Seat height: 808 mm (31.8 inches) If adjustable, lowest setting. Comments: Range up to 137 miles. 7.9 hour charging. Lithium Ion 12.5 kWh battery. Ask questions Join the 15 Zero SR discussion group or the general Zero discussion group. Bikez.com has a discussion group for every motorcycle. Here you may find answers to common questions about the model. If you do not find what you are looking for, you can ask questions. Try out the 2015 Zero SR discussion forum. You can sign up for e-mail notifications when other users answer you. If you have information about any technical issue related to this motorcycle, please leave a comment for other riders.